Whether you're tough as nails or the more sensitive type, everyone needs a good cry from time to time. Crying every once in a while can be good for you, but once the waterworks are over, you still have to deal with your tell-tale "cry face." Cue the puffy, bloodshot eyes, red nose and everyone asking if you're okay. But not to worry -- with a few quick tricks to counteract the redness and swelling, you'll be back to normal in no time. Relax your face and let the tears flow. Holding your breath and contorting your face to hold back tears will actually make the redness and puffiness of cry face worse. Breathe evenly and deeply and let yourself cry. You'll feel -- and look -- a lot better after it's over. Splash your face with cool water, concentrating on areas of redness or puffiness around your eyes. 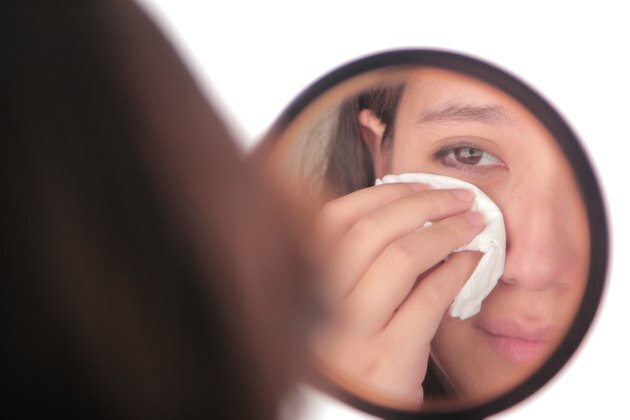 Dab away any smeared makeup with a tissue. 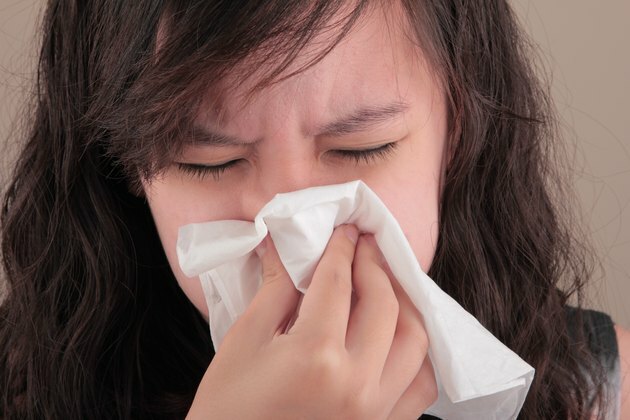 Blow your nose with a soft tissue or toilet paper. A red, stuffy nose is a hallmark of cry face. Don't use a paper towel, since the rough texture can make redness even worse. Wet a paper towel with very cold water, or if you have time, stick a couple of spoons in the freezer for 10 to 20 minutes. Gently press the paper towel or spoons on the puffy area under your eyes, starting at your tear ducts and working your way to the outer corners. Decrease any redness in your eyes with soothing eye drops. 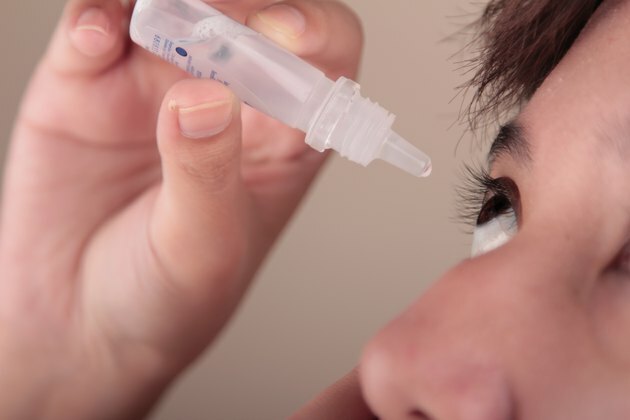 Some eye drops are specifically made to reduce redness, but plain saline drops will also do the trick. Apply one to two drops in each eye. Cancel out any lingering redness with yellow or green-based concealer. 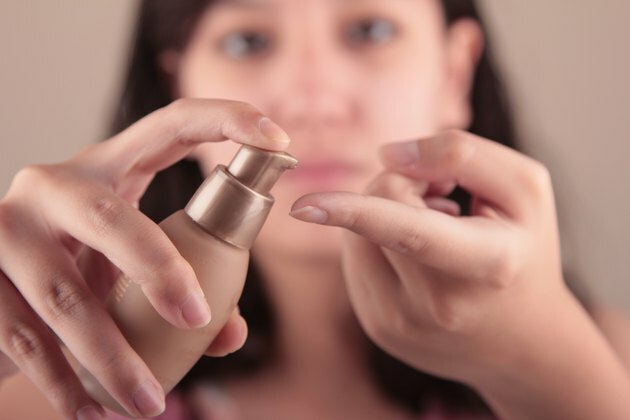 Dab the concealer under your eyes and around your nose, then set with a light powder. Take a few deep breaths and check yourself in a mirror. Sometimes when the tears start flowing, it's hard to get them to stop completely. Keep a tissue handy in case you feel them coming back. A quick dab at your eyes (or blowing your nose) can help prevent cry face before it happens. 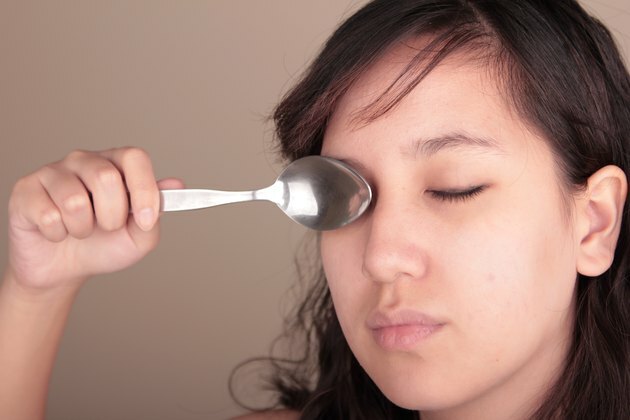 Apply cucumber slices or chilled green tea bags to your eyes if you have extra time. Both contain natural de-puffing agents. Prop yourself up with pillows to help the puffiness drain from your face. While it's natural to bury your face in your hands or hang your head as you cry, both of these can cause accumulation of fluid and blood in your face, which makes you red and puffy. Sit up as you cry, or just after, to help the fluid drain from your face. Allure Magazine: Beauty News: Is There Really Such a Thing as a Good Cry?